at user WordPress blog for Classipress. So this plugin will pull their own ads from my Classipress and display in their wordpress blog.Keep me posted. Am sure this plugin will be well liked by many here. @Tony, we are looking into this at the moment. I am just looking to get some idea of when this may be available and will reply again asap. Thanks. Will this work with Classipress too? @Tom Berlin, the plugin is designed for use with JobRoller only. Thanks. Any screenshots with results from CareerJet, LinkedIn, and Indeed all together? @Jubal, I shall find out and let you know, thanks. @Jubal, you can check out a test site here for a better idea of how this may look. Thanks. Can you guys fix those two items? @Jubal, it is just a test site rather than a demo site, so I’m not sure that the integration has all been fully set up (more that the plugins were added so you could get an idea of how it looked, since you wanted a screenshot). I’ll ask the team if this can possibly be set up. Thanks. Is there any way to select multiple countries? Just so that I am clear with this plugin…you use this tap into other job board api’s. 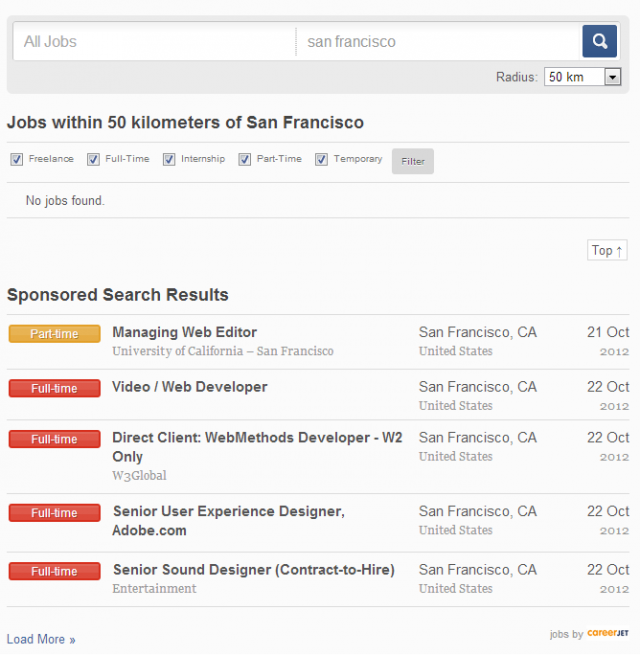 This works with indeed.com and other popular boards? @fulanito, In the configuration settings you can only select one country from the dropdown menu. 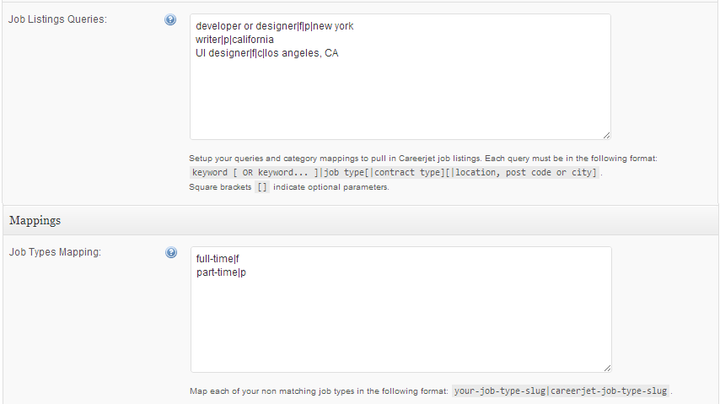 You can manually set up specific job queries though. Thanks. 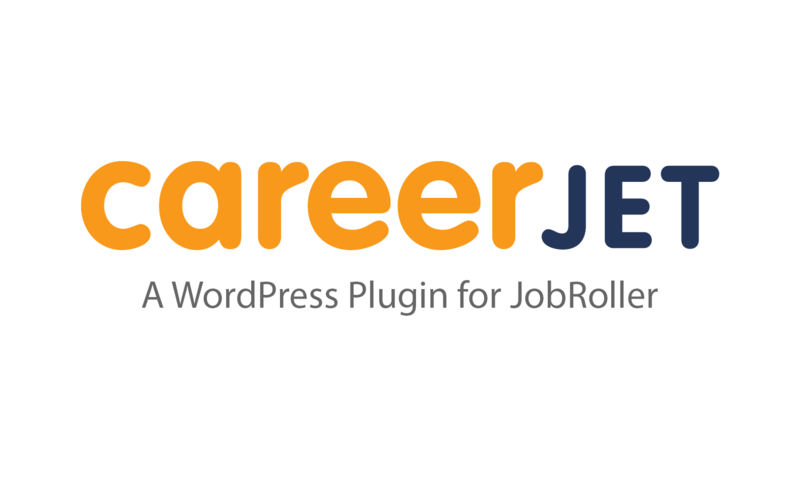 @Peter, this plugin is specifically for Careerjet feeds, but there are other separate plugins available for LinkedIn and SimplyHired available in the AppThemes marketplace. Indeed integration is already built into JobRoller. Thanks. Can this work with Jobroller 7 ? @tomawebdev Yes this will continue to work with the latest release of JobRoller v1.7. Thanks. @zlaws, you can find the list of supported countries in the “Careerjet Worldwide” tab of their website here. Which country specifically are you referring to? @zlaws, If you could please post a thread in the support forums here, our team will be happy to assist further with this and check in with our development team to get this resolved since it does appear to be on the “list” of supported countries. Thanks. The plugin don’t work. It doesn’t show the description or job type. Can you please answer my thread in the forum? @vacanciesinmalta, I see that one of our support staff responded to your thread soon after you posted it. As there is also the use of a child theme involved, so please do respond further in the forum thread itself to continue discussion. Thanks. I have my own wordpress theme that I have paid a lot of money for and I prefer it to your theme. Can I buy your careerjet plugin to incorporate into my own theme? This is the only reason why I haven’t bought your carrerjet plugin since. @King, the plugin is specifically designed for use with JobRoller, so no it will not work on any other theme. Thanks. hey is Cyprus included in the list? @Nick, Cyprus is not listed on the Careerjet.com “worldwide” tab, however there is a Careerjet.com.cy domain which shows available jobs there. Thanks. 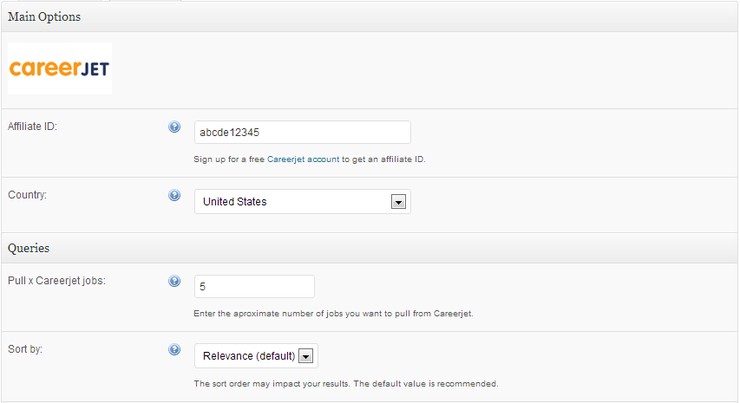 so can the plugin retrieve jobs from careerjet.com.cy ? @Nick, It’s not currently on the list of countries dropdown menu by default, so I’ll check with our development team and confirm. Thanks. heya, any chance for a reply on this? Sorry @Nick, I’m following up on this and will advise asap. Thanks. @Nick, our development team have sent an email to Careerjet asking for the required API information in order to include Cyprus on the Country list. We will update the plugin as soon as we hear from them. Thanks. Is the plugin compatible with Multisite? @ivone84, yes it will function on a multisite setup. Thanks. Hi.. I cant able to re-install.. getting the error messege as D:/Hosting/12132949/html/wp-content/plugins/careerjet-publisher/. @mustafa321, If you still require help, please do post a thread in this section of the forums and our support team will be happy to assist further. Thanks. 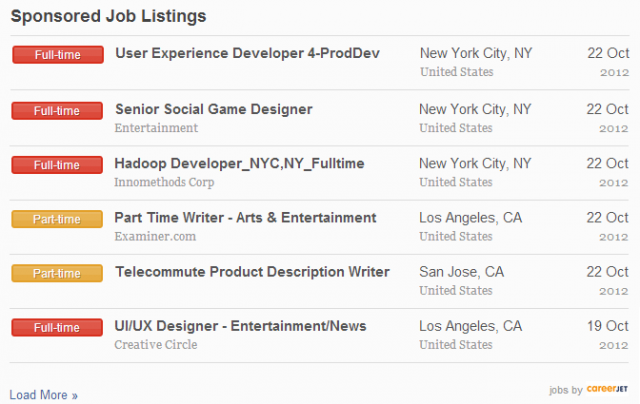 i am from Bangladesh, career jet & linked in publisher plugin will work in my country? @Parvez Mahmu, Bangladesh is not listed on the “CareerJet Worldwide” tab, however it does have it’s own site so it’s likely it will work, however we may need to contact them to add the country as an option also. LinkedIn should be ok. Thanks. Can we use careerjet together with indeed? @skid38, yes you can use both at the same time. Thanks. 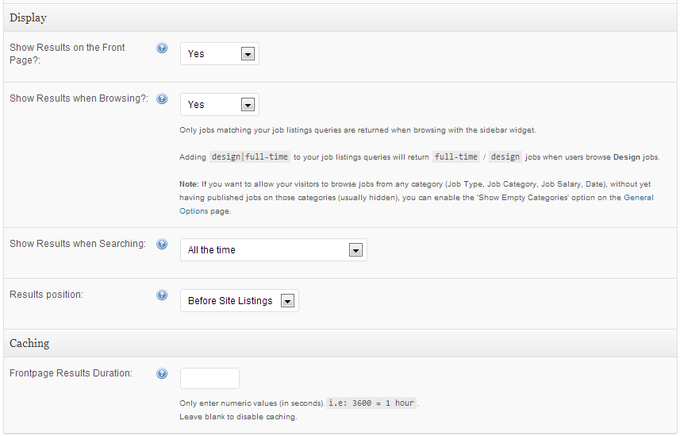 @dastagir, yes you can use multiple job aggregator plugins on a single installation of JobRoller. Thanks.